Picnic Point cafe will be open on Thursday 28th March for the Toowoomba show holiday from 8.30 until 5.00pm. Just like the season our menu has changed. Why not come in and try one of our new dishes. Just wanting a coffee and cake then come and try one of our delicious house made cakes such as our tiramisu or orange & almond cake. 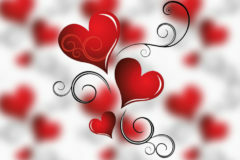 Picnic Point restaurant will be opening on Thursday 14th February for Valentines Day Dinner from 6pm. We will be offering a set menu. Bookings are recommend. Christmas Day 2018 Buffet Menu.